Spotify and Angry Birds. Combine the words ‘startups’ and ‘Nordics’ and these companies come to mind. But consumer-focused technology is just the tip of the iceberg in the Nordics, with some of the most exciting startups operating in the enterprise space. So with suggestions from Slush, Startup Grind Sweden and Nordic StartupBits, Computer Weekly has picked out six interesting enterprise startups to watch from Denmark, Finland, Norway and Sweden. The selection is varied. Some have been around for a few years, while others are just getting started, but all are aiming to leave their mark on the business world. It is a vibrant space to be in. According to TechCrunch, global investments in enterprise software surged to $5.4bn in the first half of 2014, almost matching the total capital raised by enterprise startups in the whole of 2013. 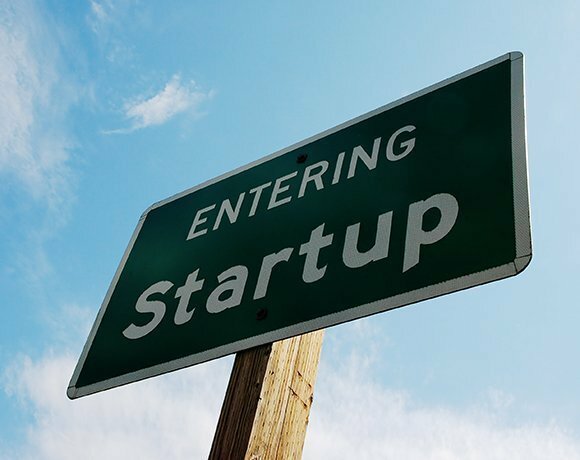 Below are six enterprise startups worth keeping an eye on. Call centres aren’t going anywhere. This is demonstrated by the €5.5m funding round Finnish software-as-a-service (SaaS) startup LeadDesk announced in March 2015. The company’s cloud-based call centre software for telesales and customer service has attracted 5,000 users and, backed by its first investment, it is now targeting wider European markets. The LeadDesk platform, targeted at both internal and outsourced call centres, provides browser-based tools for calling and sales, campaign management and contact databases, as well as customer relationship management (CRM) and enterprise resource planning (ERP) integration through its proprietary application programming interface (API). With plug-and-play deployment, scalability and no hardware requirements, LeadDesk has a convincing sales pitch. The company, founded in 2010, already has offices in eight countries. LeadDesk might not be an early-stage startup, but it’s one with impressive market potential. According to LeadDesk, there are approximately one million contact centre agents in Europe alone. Investment bank Goldman Sachs has invested in a financial analytics startup and plans to implement the firm's analytics platform. An internal startup model is what attracted Taneli Tikka to join Tieto Corporation. Top 10 virtualisation startups you'll hear about in 2015. Stockholm-based OpenRatio is focusing on a major trend: mobile applications. The company’s ‘enterprise mobile engagement platform’ is used to create, edit and publish personalised cross-platform applications securely across devices. The aim is to help clients bring mobile development in-house and to rapidly build native mobile apps for employee, client and partner engagement, such as intranet, workforce management, communication and branding. The platform can be installed in the cloud or on-premise, it has a drag-and-drop user interface (UI) builder for non-coders and its open API offers integration with enterprise systems such as CRM. It’s a competitive market, but OpenRatio, founded in 2012, believes it has an edge with its feature-packed enterprise product focus and the company hopes to make inroads into a market estimated to reach $32bn by 2018. Currently, OpenRatio’s main markets are the Nordics and the Middle East. Like LeadDesk, Crypho is another SaaS operator, but it also taps into a perennially hot topic: data security. The Tonsberg-based company, founded in 2012, provides end-to-end encrypted real-time communication between teams and companies and covers messaging, chats and file transfers. All messages and files are encrypted on the user’s device before being transferred over the internet. Crypho promises the data cannot be decrypted and read until it is received by a recipient with the correct keys. Even the startup itself cannot access the data. Those worried about any NSA-related snooping will be happy to hear the cloud-based service is hosted in Norway. Crypho is also network agnostic and works using a standard web browser. The service is targeted at businesses, but also offers a free basic version to individuals. According to Crypho, the service is already used in more than 70 countries and its user base includes governments, financial institutions, law firms, publishing houses, software companies and human rights organisations. From security to different kinds of risk, Stockholm-based Unomaly aims to simplify increasingly complex and critical IT systems through its diagnosis and behavioural monitoring software. Launched in 2012, Unomaly automatically learns what is normal behaviour for any IT system and uses anomalies to identify incidents or problems inside it. This generates real-time reports, as well as providing details on the root causes, propagation and effects of the anomaly. Helsinki-based Applixure has a new perspective on IT analytics. The early-stage startup aims to improve employee productivity by digging into computer problems. Applixure’s platform automatically gathers productivity-related data from individual workstations, analyses it and visualises the results for IT teams. These include performance and application use, system stability and the ability to spot common issues across multiple computers. The company claims this data helps to identify and solve such problems, estimate their actual cost to the company and assess specific device and software needs. It is a key market – a 2014 study in Finland found 65% of workers waste an average of four hours per week solving computer problems. Despite a 2014 commercial launch, Applixure says its platform can already be used globally. That said the company, which was founded in 2012, plans to focus on honing its service in Finland before a wider international push later this year. Familiar with the frustration of trying to find the right template or logo for a new business document? Step forward Templafy. The 2013 founded Copenhagen-based startup has developed a simple way to manage and share company templates to maintain legal compliance and visual consistency. The appeal is that Templafy, launched in September 2014, automatically and dynamically adapts company templates to each individual employee. As such, just a few generic business templates can be transformed into thousands of individualised business documents with the look, feel, language, company data and personal information automatically embedded. Compliance teams will also appreciate the ominous-sounding ‘watchdog’ feature which detects if a non-compliant document is opened and helps to update the document. Templafy claims it is the only service that works with all major office platforms, including Microsoft Office 365, Apple iWork and Google Drive. Templafy secured a $2.5m funding round in June 2014 and now has approximately 60,000 users. In November, Templafy won the ‘Traction award’ at the renowned Demo conference held in San Jose and it is now targeting the US market. The company opened an office in New York in early March 2015.